Will the billion-plus viewers of the Oscars this year hear messages that promote a culture of ethics, or erode it? 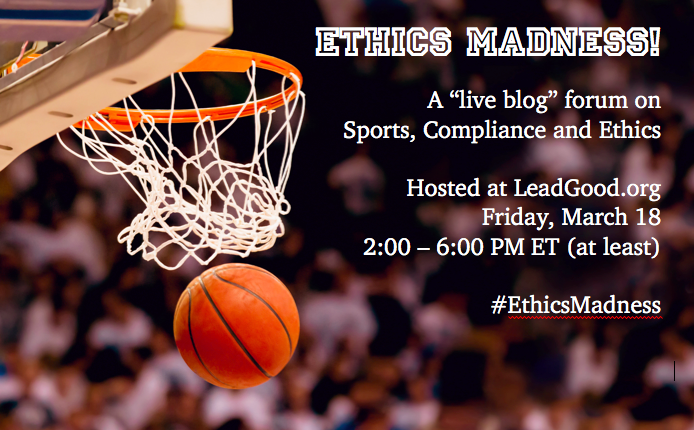 My compliance chum Amy Hutchens and I, and others we hope, are planning to have some fun with that question as we “Live Blog” during the Oscars telecast tomorrow (Sunday, February 22). You can follow along with our observations and musings, and chip in your own, on the “LeaveGood Live!” page of this website. As compliance pros have observed as frequently as Liam Neeson makes his voice all gravely, an institution fosters (or wrecks) its ethical culture with every statement and communication that its leadership makes. I think of this as the Sting Rule of Ethical Leadership (Every Little Thing You Do Is Culture). So when it comes to one of the central events in the American culture — the Academy Awards — what are our cultural leaders saying about ethics? Rather than add to more learned commentary about the movies themselves, our main focus will be the speeches, the jokes, bits of the Twitterverse, the commentary and the commercials (second in mass cultural importance only to the ads during the Super Bowl). What ethics messages or miscues will we hear this year? An actor’s appeal to a moral cause with all the wrong language? A major product ad that encourages you to lie to your boss? Or just conspicuous over-consumption? In large part, Amy and I are just going to see what comes up, and wing it. Our hope is that we can all have a little professional fun — us, and you (dear reader), if you choose to add your comments along the way. We’re going to start up at 7 PM EST and plan to keep going until the thing is over. If you are watching the big show, I hope that you’ll bring us up on your little screen. The other night, I watched a group of Boy Scouts plan a skit. 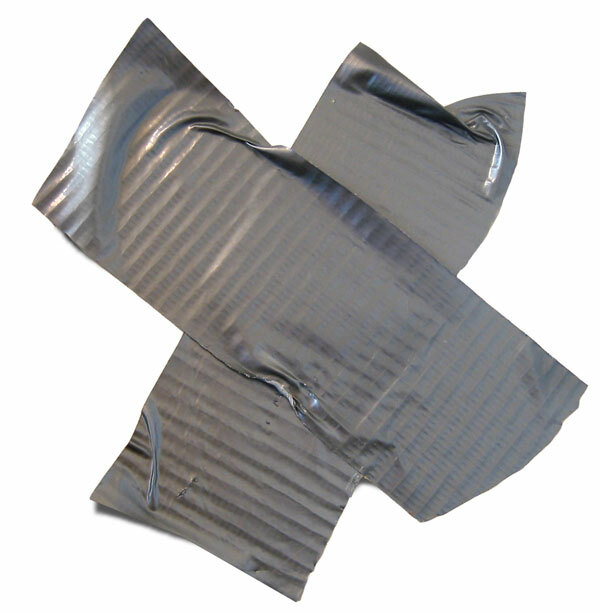 Their Patrol had the assignment of teaching the rest of the Troop how you could make first aid supplies out of duct tape. They had the idea of doing a funny little show about a Scout falling out of an apple tree, and suddenly needing a stretcher, a splint and a sling. They threw joke lines and sight gags at each other, and put together a nice little script and demonstration. Every year, as we pass Labor Day and approach September 11th, I think of the not-so-modest proposal I offered a few years ago, for a new national way to think about those two American events. This year, the deliberately public, deliberately heinous beheadings of two journalists again bring my thoughts to “Freedom’s Labors.” Steven Sotloff and James Foley labored for freedom by plying their craft and trying to shine some light in a dark place. That form of routine heroism also deserves some explicit recognition. I’d like to make a proposal. First, I propose that the Friday after Labor Day be designated a full federal postal and banking holiday, to be designated as Freedom Day. I know that the idea for this kind of holiday, designed to commemorate the shock, losses, and resolve of 9/11, is not a new one — but I propose we take an additional step. So I propose further that the week between Labor Day and Freedom Day receive a special designation. I would call it “The Days of Freedom’s Labors.” And it is that entire week that is the focus of my proposal. The old saying goes, “a freedom isn’t free,” but after all, how much time do we spend talking about the price we pay for freedom? So I view The Days of Freedom’s Labors as the time for a national consideration of the simple, individual work it requires to maintain a democratic society that operates under the rule of law. That work begins with the kind of labor that Labor Day was established to commemorate in the first place: that people get up every day and go to work and keep our economy going. But a week long consideration of freedom’s labors also provides time to reflect on the work of public servants, charities and faith-based organizations, simple basic acts of heroism, and yes, even of the work that lawyers (like me) do. It also provides a time to celebrate how freedom arises from civil, respectful debate, and the work of an independent, active press. But restoring meaning to Labor Day is only one of the many benefits of a week long commemoration of freedom’s labors. The holidays would give provide a way to mark the 9/11 attacks that is meaningful, affirming and forward-looking… a way that moves away from the maudlin or from bringing too much attention to the attackers (which is all they wanted). This is also the season to mark the national tragedy that was Hurricane Katrina. Both events provide many examples of the value of individual civility, and the cost of its absence. For companies, the national discussion centering on The Days of Freedom’s Labors could also be a touchstone for compliance efforts, perhaps providing a handy kick-off to a fall push to meet compliance targets by year’s end. And again, the touchstones of civility, mutual respect, and yes, the Golden and Silver Rules, are a natural tie-in to the best reasons for compliance. The Days of Freedom’s Labors would also provide a useful, immediate focus for curricula at the beginning of the school year. Rather than the usual drift through a slow ramp up of studies, celebrating The Days of Freedom’s Labors at the beginning of the academic calendar would give teachers an immediate focus to explore topics from civics and government, to ethics and diversity, to history and biography, to the rule of law. Speaking of the beginning of the school year, few parents would not welcome another three day weekend to buy things like that exact form of binder that most pleases Johnny’s new teacher (a requirement that, in my district anyway, you never seem to hear about until after Labor Day). Indeed, for retailers and tourist destinations alike, an extended end-of-summer holiday could even reap economic rewards. For businesses looking for non-monetary forms of reward for their work forces, the close combination of the Labor Day and Freedom day weekends might provide some appealing opportunities. And would it be all that bad if the weeklong commemoration of The Days of Freedom’s Labors brought our overworked country a step closer to that glorious continental institution they call vacance – the company-wide vacation. But let me not get too far down the road of pleasing vacations and crowded stores. The point is, a week-long celebration of freedom’s labors fits our times and fits our unique national identity. It is distinctly non-partisan. By its nature, it is an appropriate time for dissent as well as assent. And that may be the greatest value of the Days of Freedom’s Labors: reminding all Americans that our progressive, prosperous society – where everyone gets a chance, and every vote counts – is built or abandoned in proportion not to how much we rigidly agree – but by how hard, how honestly, and how respectfully we labor for the rule of law, and institutions and businesses governed by the Golden and Silver rules. Item #2, even better: Since Friday night, when O’Brien said it, thousands of people have re-tweeted that quote. At a random time two days later, still another 10 re-tweets per minute. Think the average person isn’t hungry for ethical leadership and life by the Golden and Silver Rules? Like Coco said, don’t be so cynical. Nice article in the Washington Post by business columnist Steven Pearlstein, asserting that NBC’s late night troubles are an analog for what’s wrong with American Business. It starts with the mind-set that puts short-term profit over long-term value creation…. For NBC, the decision to move Leno to an earlier time slot had nothing to do with the desires of TV viewers. Rather, it seemed like a clever solution to the problem of having promised the “Tonight Show” to O’Brien five years earlier in an effort to prevent him from jumping to a rival network. It’s a common mistake in business — letting key decisions be driven not by market demand but by the need to resolve internal conflicts. As NBC discovered, it rarely works out for the best….. But NBC forgot that wisdom when it decided to go for a strategy of low-budget offerings in prime time that would maintain profitability at the expense of program quality or ratings. It turned out that the new strategy posed an existential threat to the independent studios and production houses that networks still rely on to create their entertainment programming. And the smaller audiences that NBC was willing to accept for Leno’s 10 p.m. show translated into shrunken audiences for 11 p.m. news shows that generate as much as 40 percent of the revenue for local affiliates that are already reeling from the recession and competition from Internet advertising. There are many other lessons to be drawn from NBC’s late-night debacle — on the shortcoming of industrial conglomerates (GE), on the difficulty of old dogs learning new tricks (Leno), and surely the one about sacrificing old products to launch new ones (O’Brien). You could probably construct an entire business school class around this case study in mismanagement. Turns out Brooks and I have in common our admiration for Bruce, and our night-time jobs making school lunches. I wrote up some nitty-gritty tactics for how to “Lead Good” for the website of the Association of Corporate Counsel (ACC) — the leading trade association for in-house lawyers. My article, “Top Ten Practical Ways to Enrich and Empower Your Compliance Program,” is the ACC’s featured “Top Ten” article of the month. The sub-text for my recommended methods: Don’t just administer. Be pro-active. Be creative. Lead. As we approach early September, I’d like to make a proposal. This message from my 18-year-old son, a camp counselor this summer. Isn’t this exactly the goal of good corporate governance? This proves that (1) you don’t need a pricey seminar to learn the keys to ethical leadership, and (2) we have dinner table conversations you might find boring.